January 31 marked the final day of the 31 day Janu-burpee Challenge. I can’t say I was disappointed to see it end. 930 burpees in 31 days was tough. Frankly, it was a lot harder than I expected. And truthfully, it never got any easier. 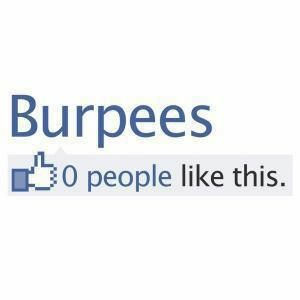 Burpees are one tough exercise. Despite late weekend nights, business trips, sore muscles and low motivation, my husband and I somehow managed to complete the challenge. We never missed a day. It certainly helps to have told a bunch of people we were doing this challenge. Never underestimate the power of peer pressure. And what were the results, you ask? Well, I can’t say there were any perceptible improvements in my endurance. The exercise consistently took about 2.5 minutes each time and every time it was as hard as the first. One thing I can say for sure is that my arms definitely got a little stronger. After neglecting my strength training for months, I finally went back to a weight class at my local gym that I did regularly before my marathon training. Recognizing that I was basically back to square one, I reduced my weights to what I thought was a reasonable amount. “Don’t be a hero,” I thought. Just take it easy. Because of the burpees, my arms and chest felt OK the next day. A little stiff but the good feeling you get after a tough workout. But my legs. Oh man. Stairs have been my enemy this week. I’m still recovering. Two weeks ago, it seemed like a good idea to try and reach 1,000 burpees for the month. I was certain I could squeeze in another 70 somewhere. Not a chance. 30 a day was hard enough. And honestly, 930 is nothing to be disappointed with!